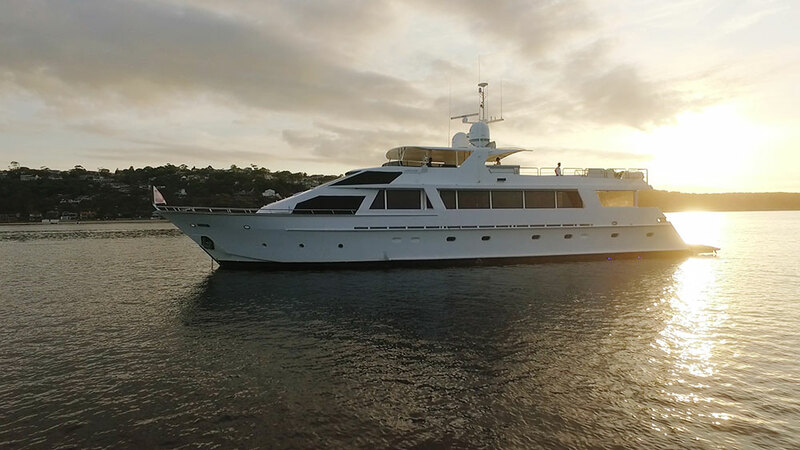 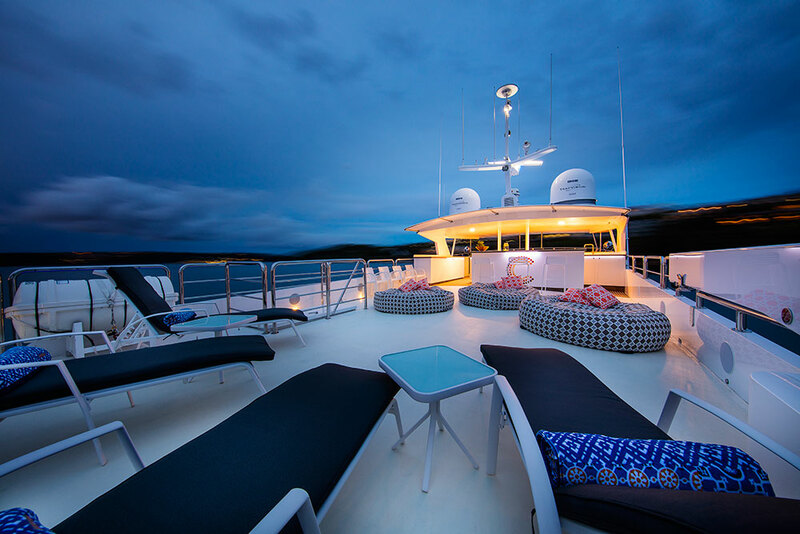 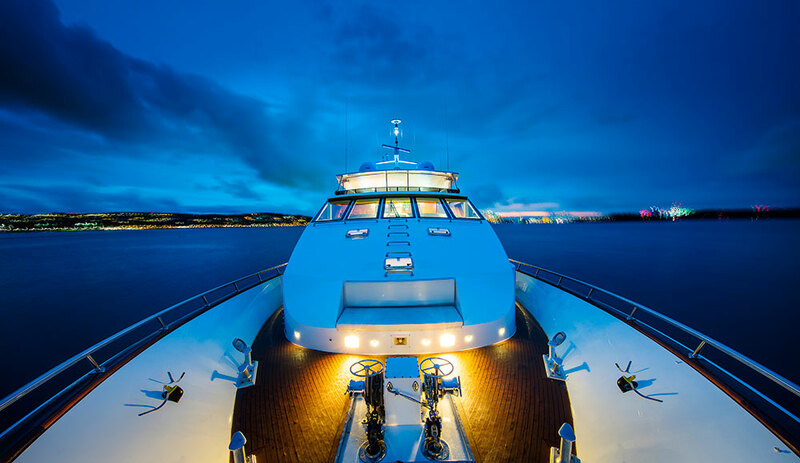 Corroboree is Australia’s most technical super yacht as she was specifically rebuilt in 2015 to accommodate live aboard charters in the Whitsunday’s and aboard, she is fitted with the most advanced equipment in the world to date – dual stabiliser systems that are designed to minimise boat roll,thereby giving a smoother ride in adverse weather conditions while underway and at anchor optimizing onboard comfort. 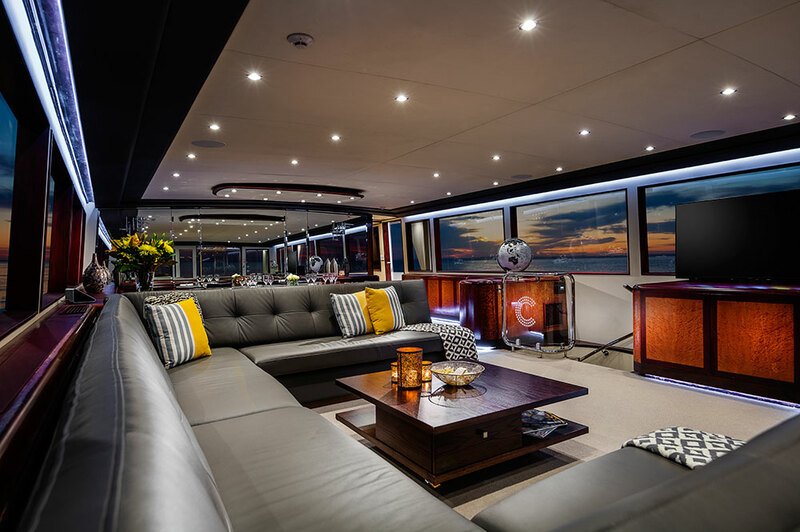 If that doesnt impress you I’m sure her state of the art sound system by award winning Liquid Animation will! 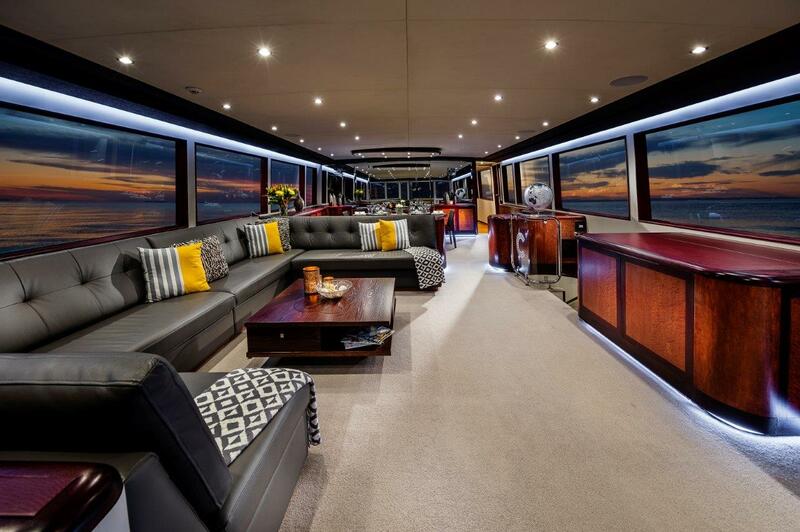 Corroboree is equipped with foxtel, Apple TV, Kaleidoscope movies ( library of over 3000 movies), Xbox / Play Station facility and high speed internet. 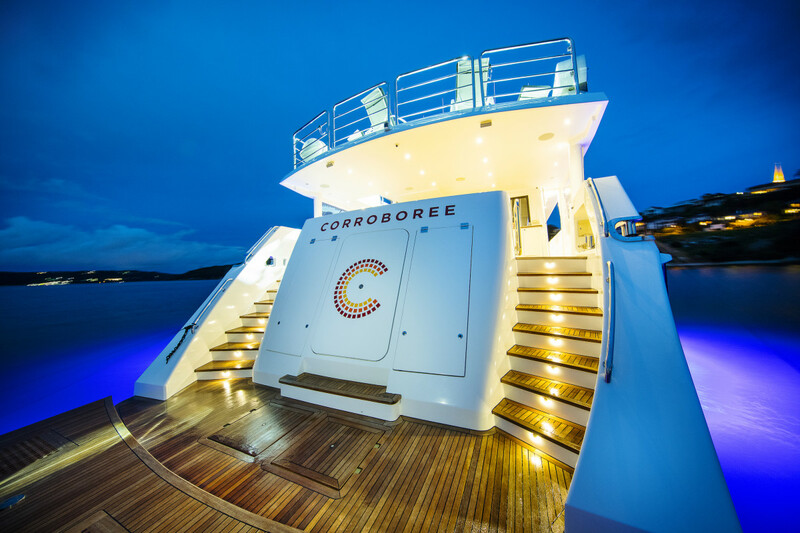 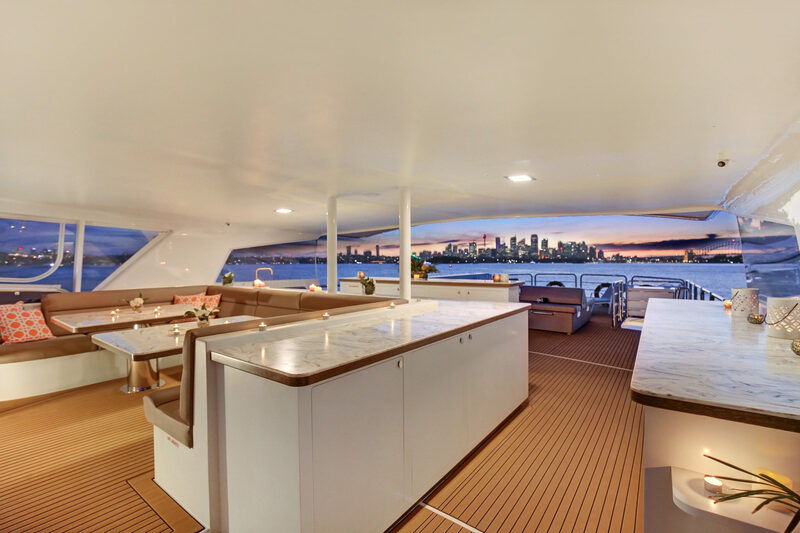 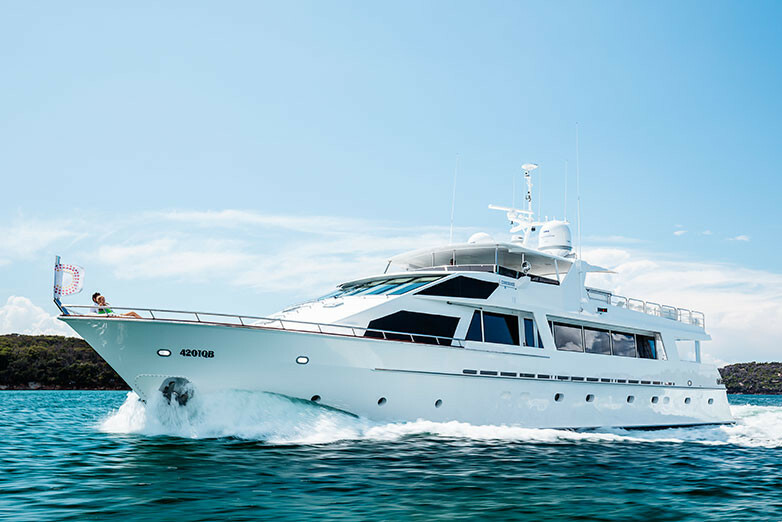 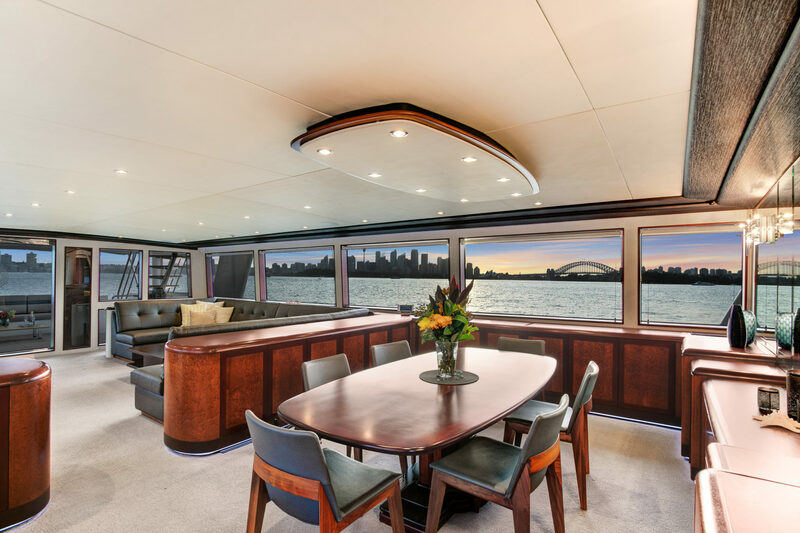 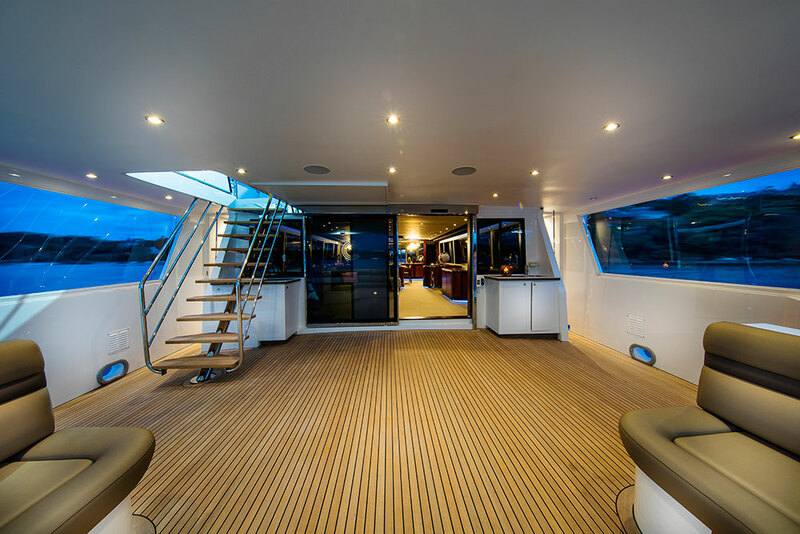 Corroboree has undergone an extensive refit, ready to suit the most exquisite demands on the charter market. 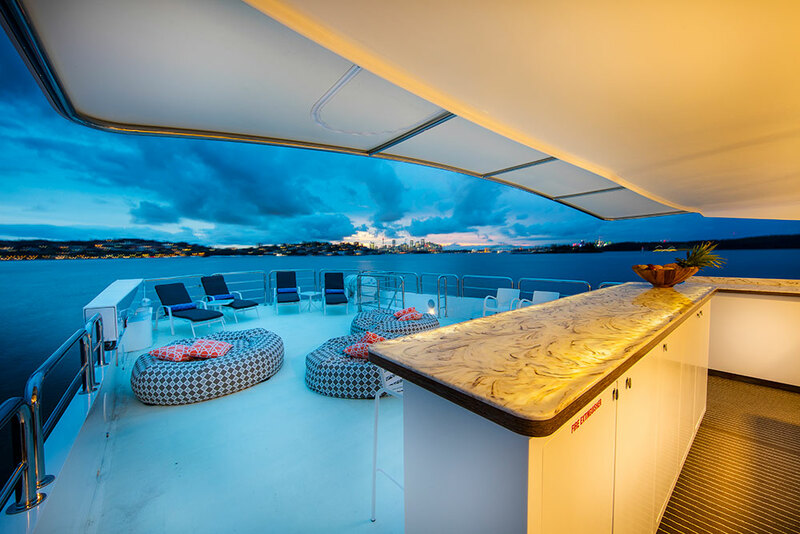 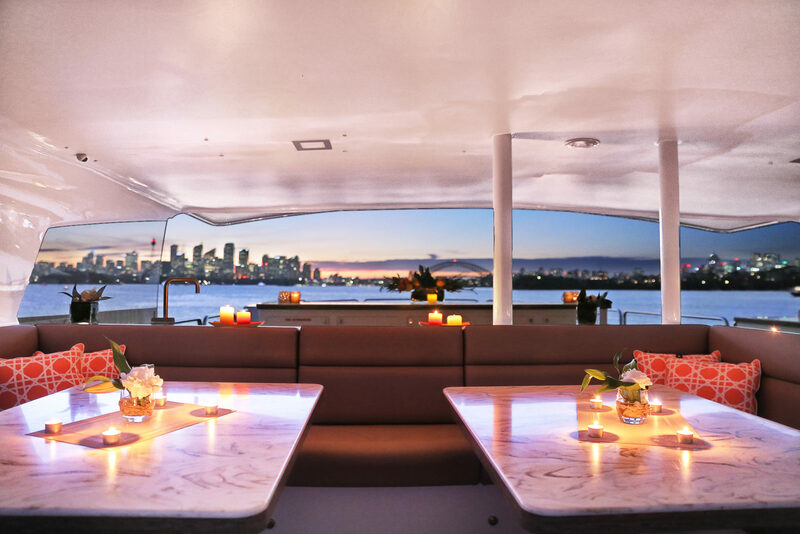 It is fastidiously designed and laid out to ensure optimum use of space and facilities, including an outdoor cinema, spacious decks and illuminated sky bar. 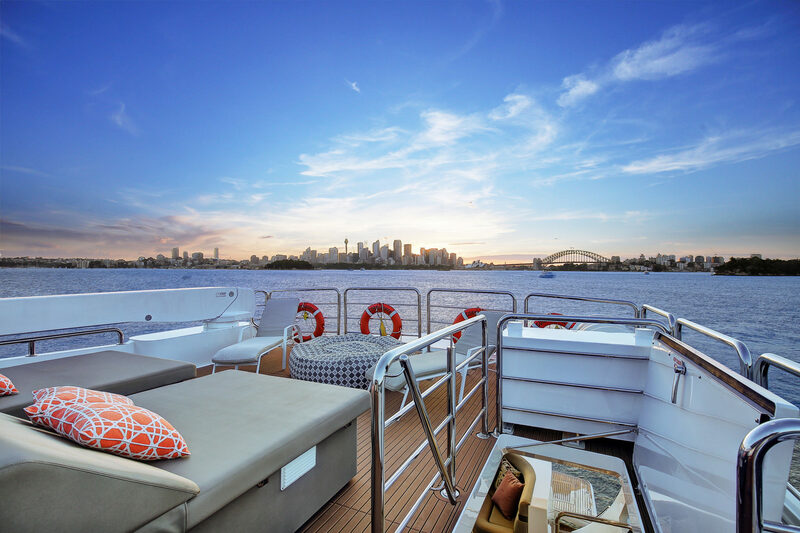 Her oversized flybride is one of her best assets, making her the ideal choice for any event on Sydney harbour. 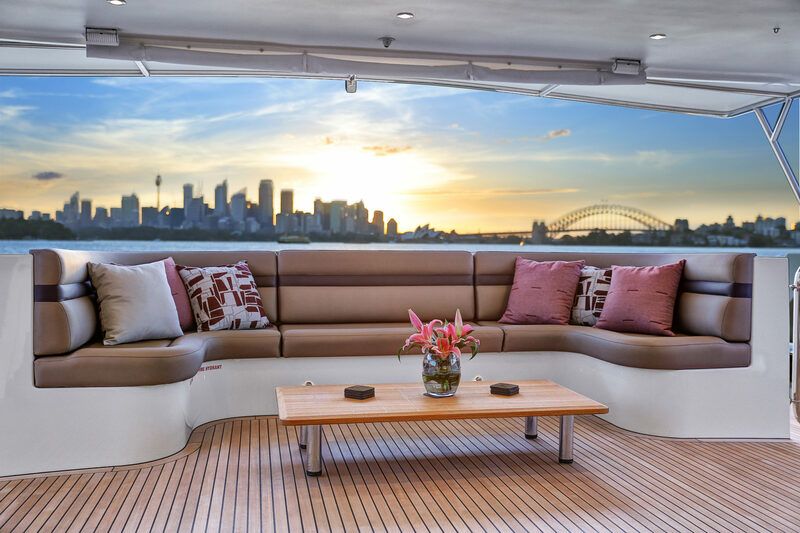 Corroboree boats spacious upper deck, alfresco dining, sky bat, sun loungers and a BBQ area. 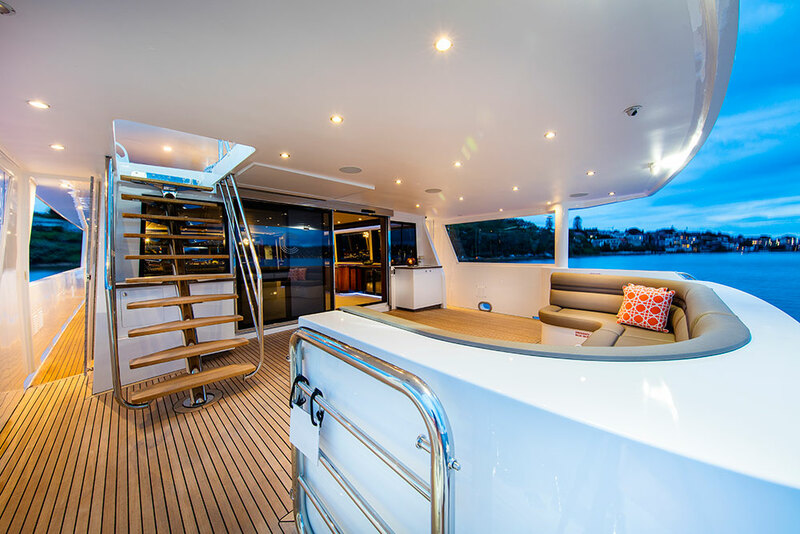 She also features many water toys that include kayaks, SUP, jet skis and a wide variety of water gear suited for professional fishing, scuba diving and snorkelling.